The playing surface consists of a 7×7 game board containing a series of 14 sliders (7 orange and 7 white). Each slider has a fixed number of holes by which it may be moved into one of three positions (top, center, bottom) using knobs at either end. 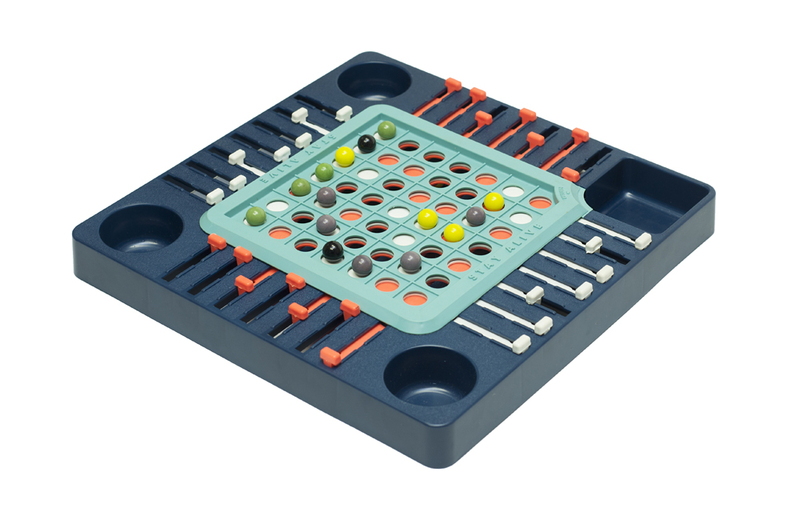 To start a game, 2 to 4 players randomly adjust the sliders and each take turns placing 5 colored marbles onto the non-holed spaces. After all the marbles are placed, game play begins. Each player changes a slider’s position in an attempt to eliminate an opponent’s marble by causing it to fall through one of the newly opened holes in the game board. The winner is the last player with marbles remaining on the board. 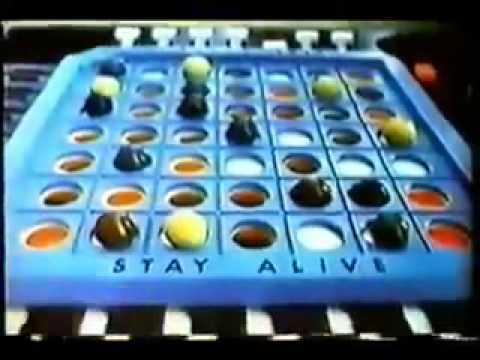 After Milton Bradley discontinued Stay Alive in the late 1970s, the game enjoyed a brief resurgence in the mid-2000s, when Winning Moves Games USA republished it. Released in 1959 by Lancaster, Pennsylvania-based Hubley the Tic-Toy Clock was lauded by Science & Mechanics magazine with a Merit Award as one of the best toys of 1959. In the 1930s, Magic Designer was a popular precision drawing toy geared towards kids and adults - and was likely an inspiration for Spirograph 30 years later.